It is time for our annual Christmas Block Party! Start your holiday season off right with the staff at Community Futures, Integris Credit Union, and the Prince George Chamber of Commerce. We are taking this opportunity to show appreciation for all the people who make our organizations truly special, so bring your staff, or a friend and enjoy the holidays with us. 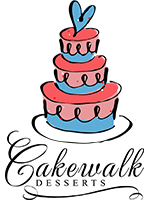 There will be appetizers at Community Futures, drinks at Integris Credit Union, and Cakewalk Desserts is back again at the Prince George Chamber of Commerce and is ready to provide another amazing dessert buffet that was the talk of the party for the past 2 years! Don't forget to register for this amazing annual event, we look forward to seeing you there!